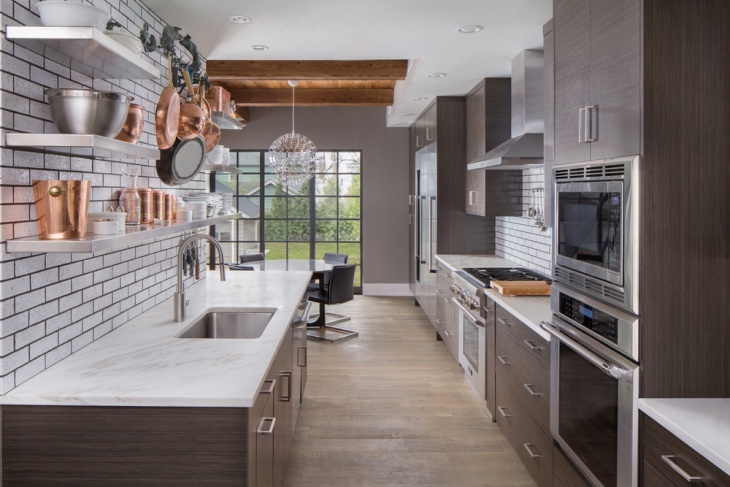 Who doesn’t want a kitchen design that reflects their personality and meet their specific needs? 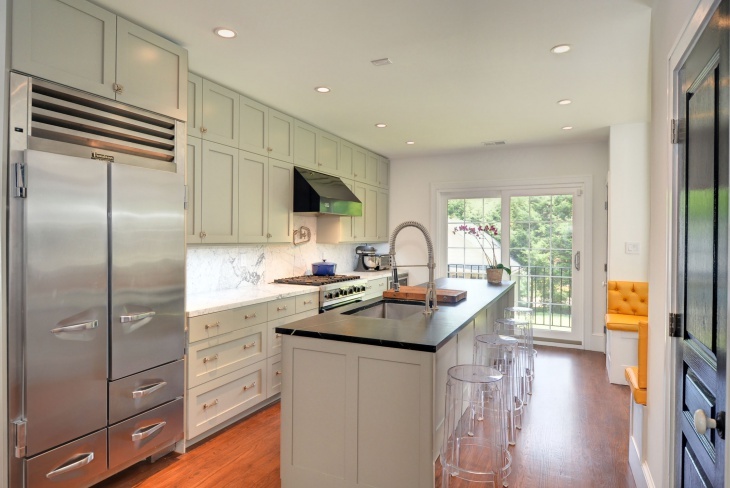 The latest trend catching up in every home is to have a well-organized kitchen with the right accessories, kitchen furniture, and right decor. 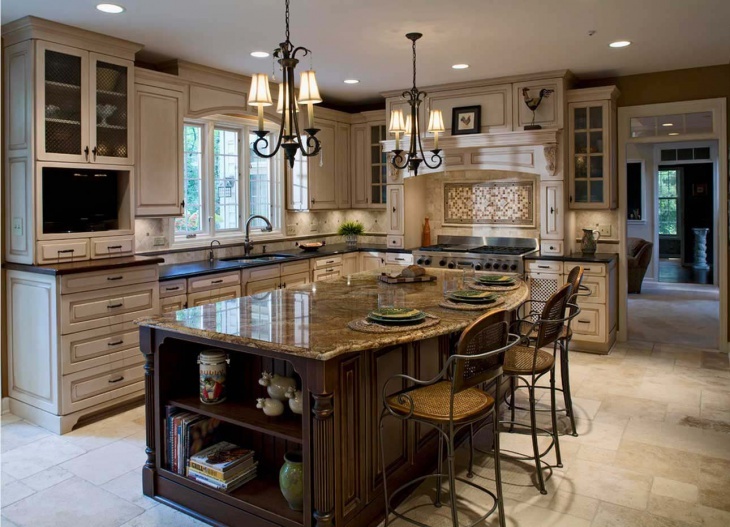 From choosing the styling for the doors, shelves of kitchen cabinets to dealing with the kitchen countertops , the architectural detailing is given a lot of emphases especially for people who look out for remodeling their traditional kitchen cabinets into a classic, modern kitchen cabinets which have both style and utility. 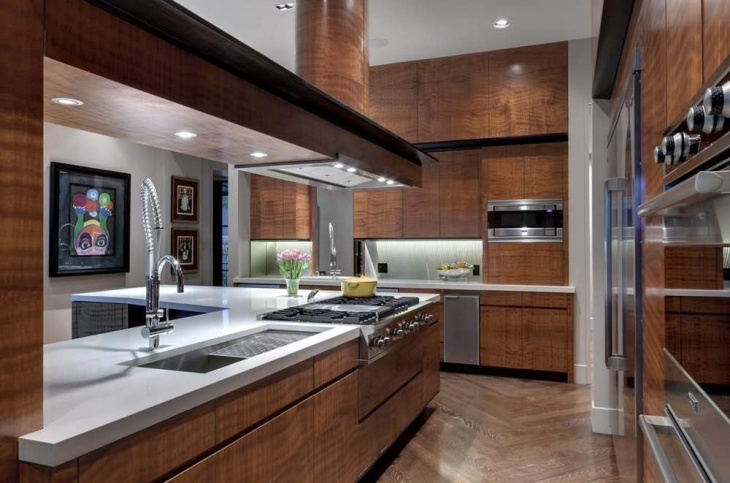 The Wooden kitchen cabinets with glass doors look swanky and also allow the easy visibility of all the storage items like crockery’s, vessels easily. The wood gives durability and also the required flexibility in case of hydraulic door mechanisms for the wall cabinets especially helpful in case of Microwaves. 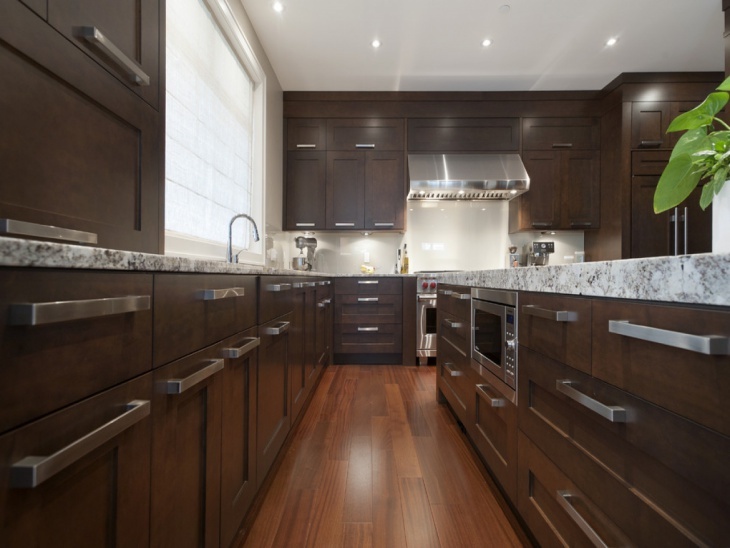 Larger the kitchen, more is the possibility to add Dinette areas with the efficient lighting apart from the modern birch Cabinetry and kitchen island tables. 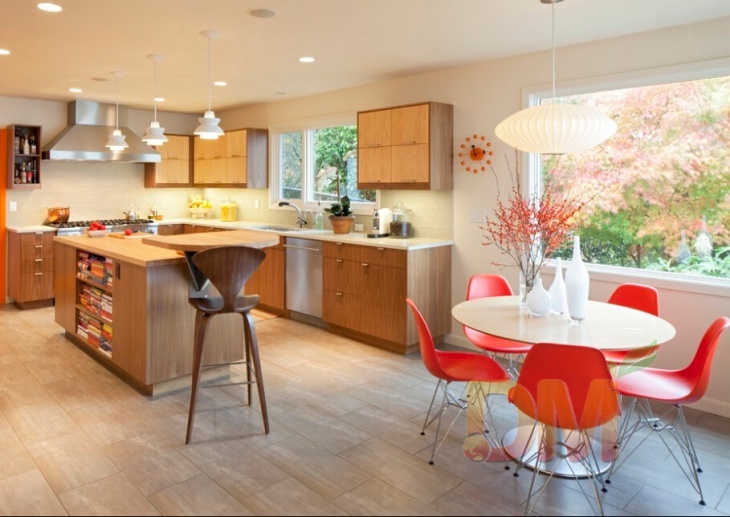 The light wooden finish for the cabinets, floor goes well with the colorful red plastic chairs on the dining table giving a two-toned interior effect. 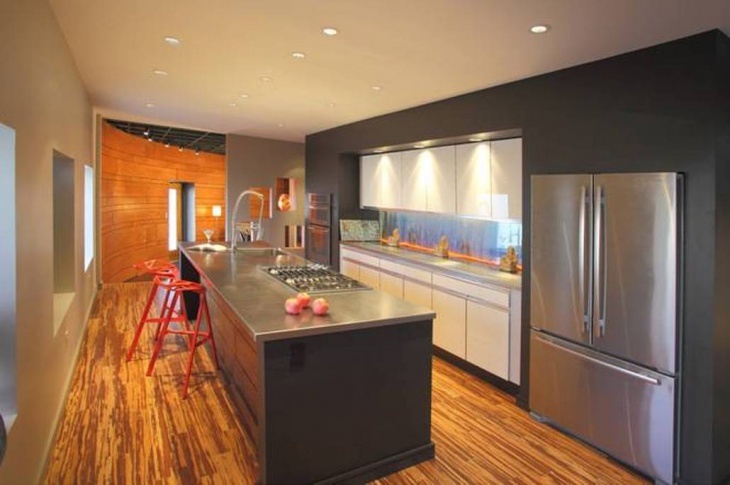 The mild, dull ebony color seems to be boring and outmoded but has now become a modern choice for wall and floor color. 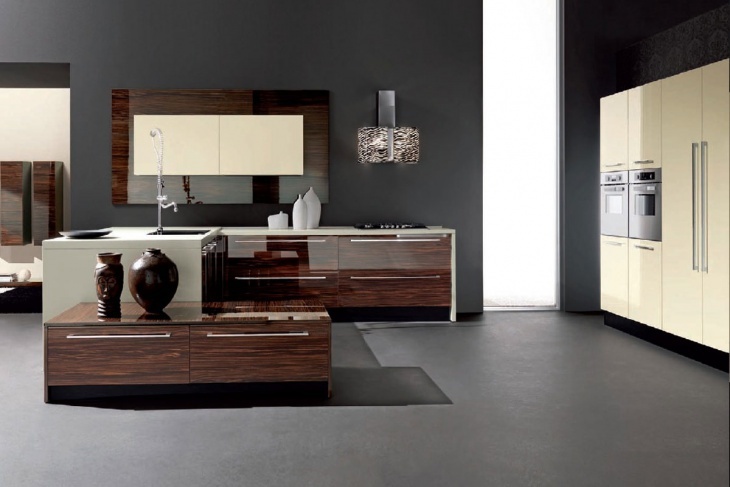 The Glossy polyester finish makes such colors look exotic along with the wooden Italian Kitchen Cabinets. The consistency in look is delivered with the glossy finish even on the wooden cabinets with stainless steel handles on the shelves. 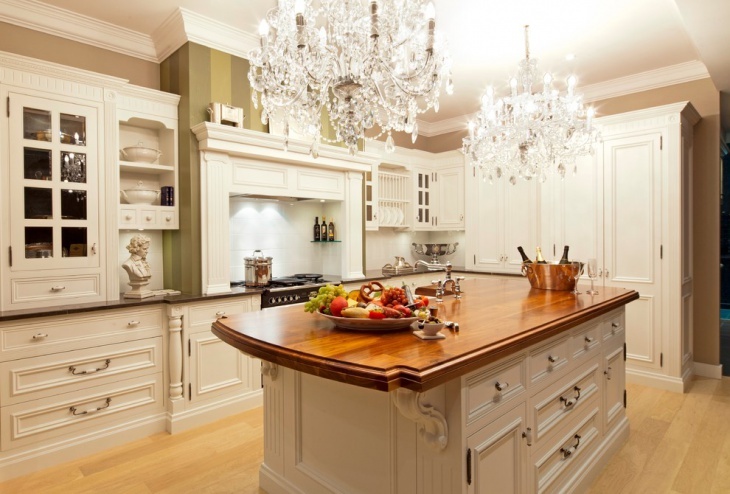 The Kitchen Remodeling designs are meant to make the kitchen well equipped, bright. The Modular Kitchen technology is sleek and takes care of filling every minutest space of the kitchen with appropriate sized and shaped cabinet shelves in a neat manner. 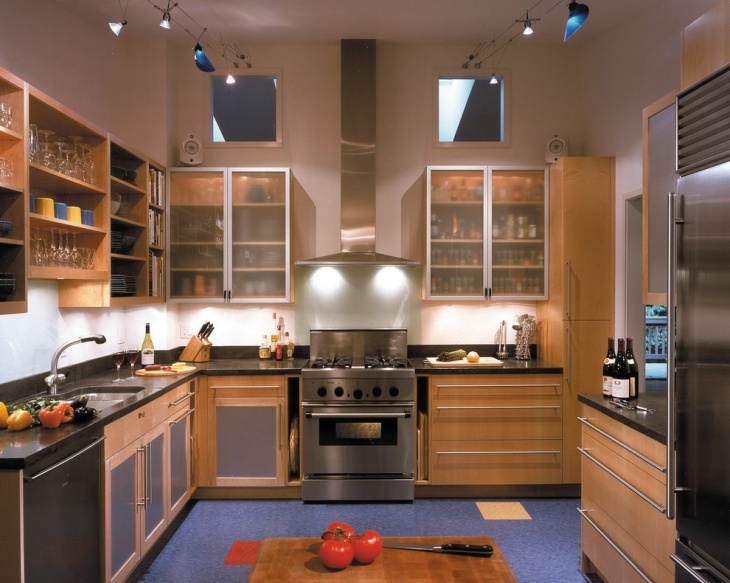 The unique color palettes like blue flooring with the best spotlights give the kitchen a trendy makeover. 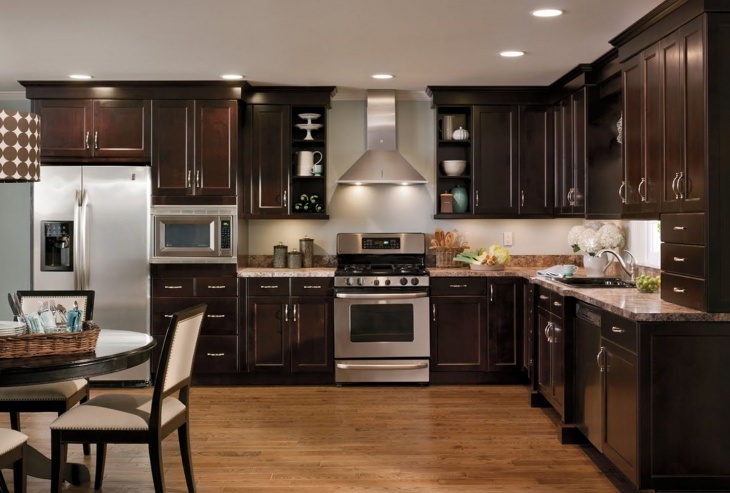 The dark chocolaty shades of Brown spread across consistently throughout the kitchen cabinets with the best hinges, handles and knobs and a small dine area give a perfect look to the kitchen. The closed shelves doors also exhibit a neat and less cluttered look. 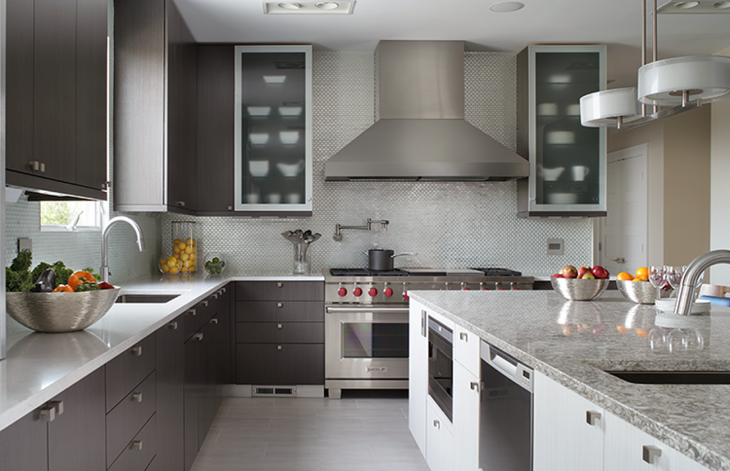 The light contrast finish for floor and the countertops keeps the kitchen bright and light. 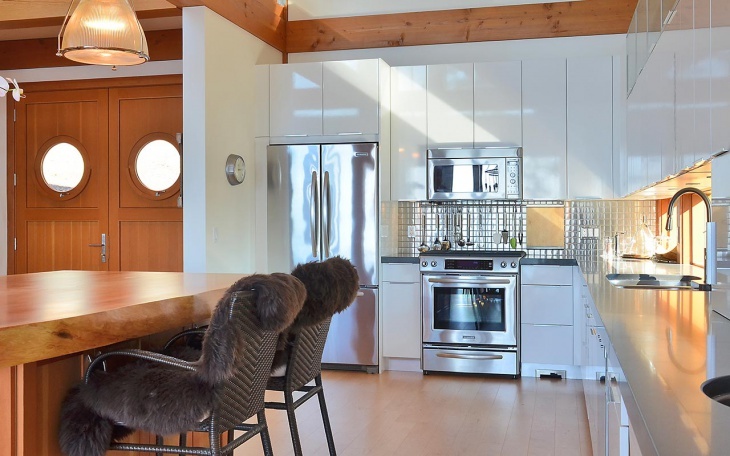 The maple wood finish kitchen cabinets and furniture with iridescent lights on the raised ceiling over the kitchen island table augment the whole look of the kitchen. 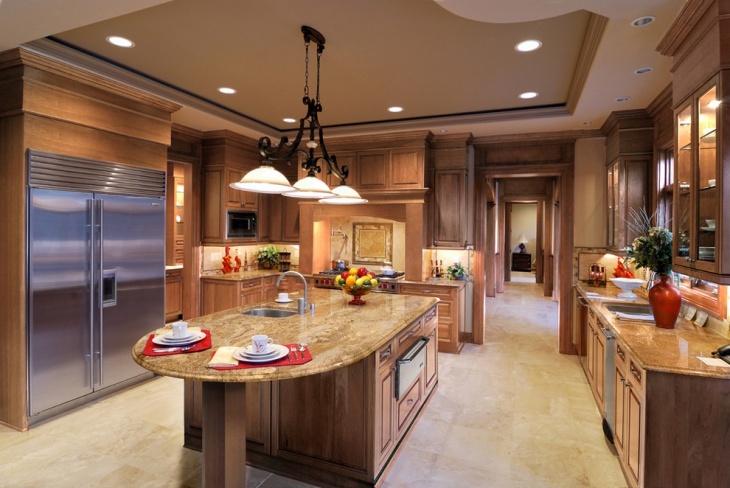 The caramel colored granite flooring and countertops also deliver a polished classic appeal. The combination of metal open shelves and closed natural ebony wood cabinets shelves forming the base and top storage requirement gel well with the contemporary styled tiled wall in gray. 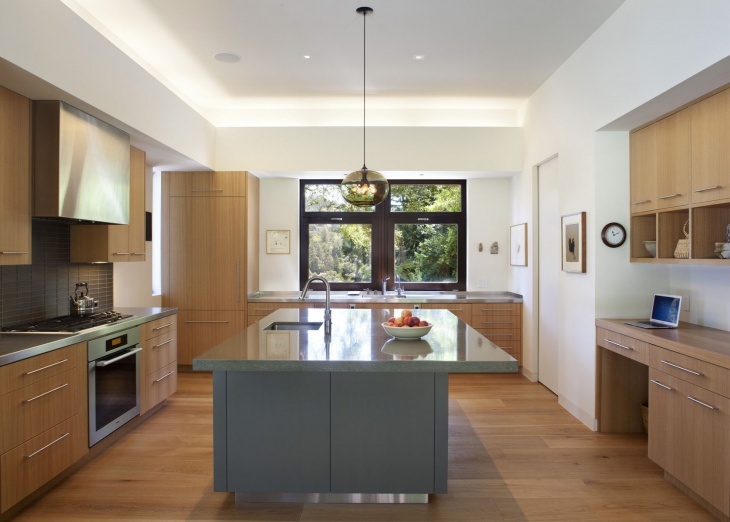 The gallery kitchen style also suffices with the required brightness. 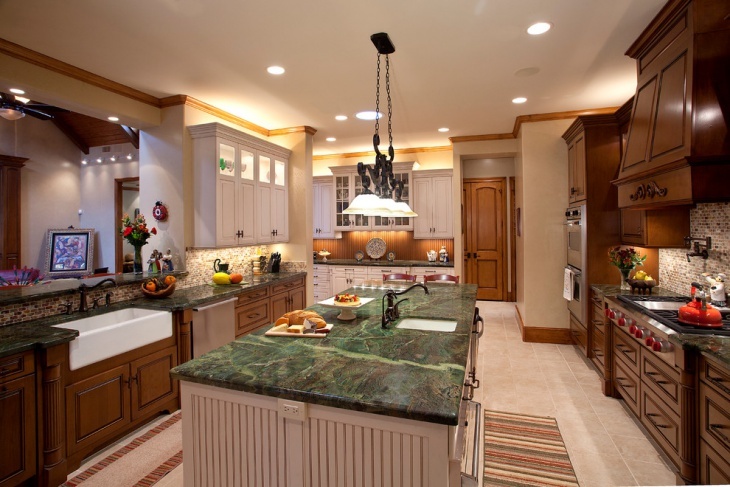 The ceiling lights on the wooden detailed ceiling over the kitchen island are sufficient for nighttime discussions. A small one wall kitchen can be made absolutely stunning with maple wood cabinets in cocoa finish with a glass front and the shelves can be fitted with square knobs. 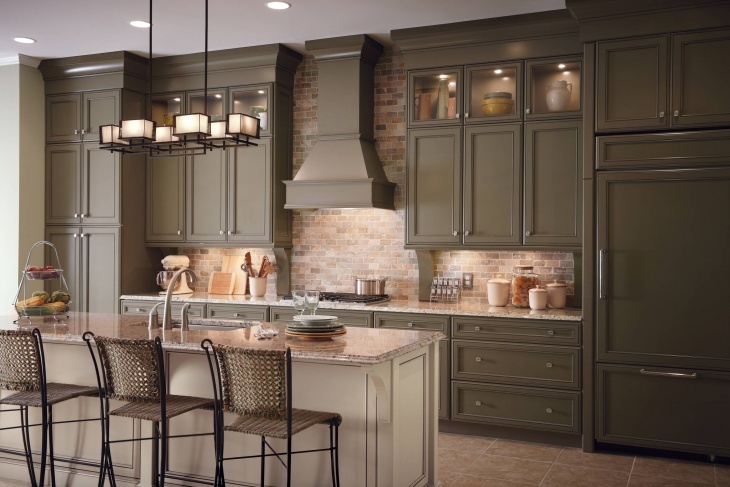 The brick backsplash and attractive kitchen island with bar stools and cute lighting fixtures make the traditional kitchen look classic and well lighted. 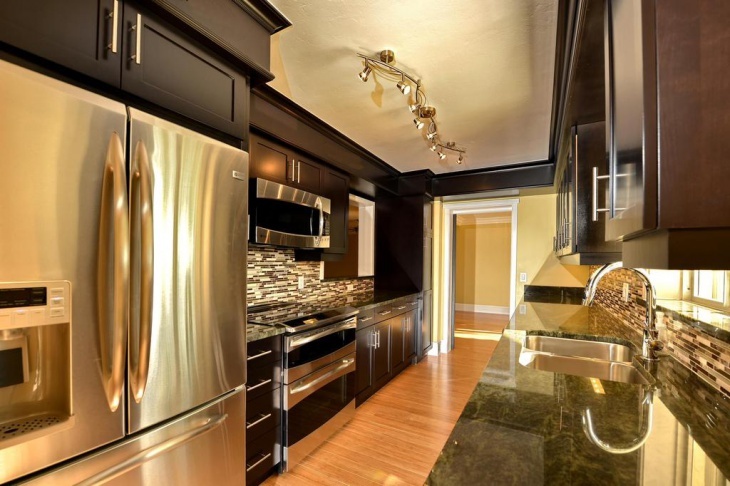 The trendy kitchen with gleaming Golden finish granite countertops, golden designer lighting on the ceiling and matchstick multicolor tiling backsplash definitely reflects a modern taste. 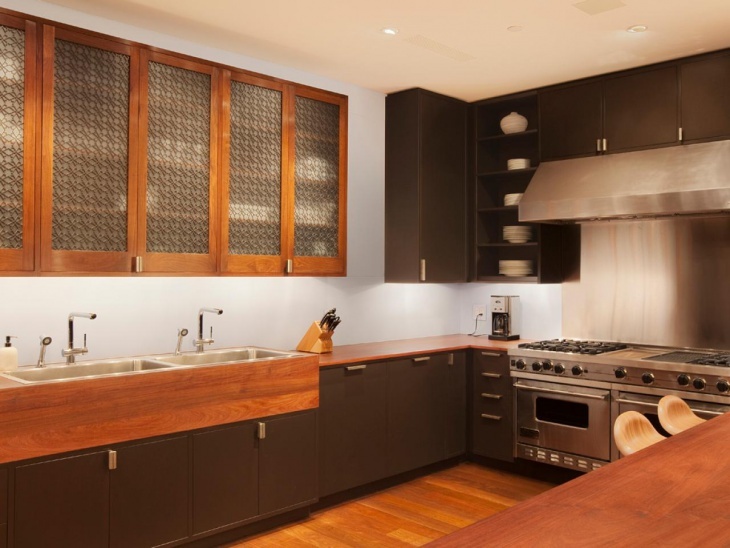 The sliding dark doors for the cabinets combine well with the stainless steel kitchen appliances. The L-shaped granite marble countertop and a large kitchen island definitely make a large kitchen much more than just a cooking place. The whole family can get together and enjoy small discussion sessions at the seating areas. 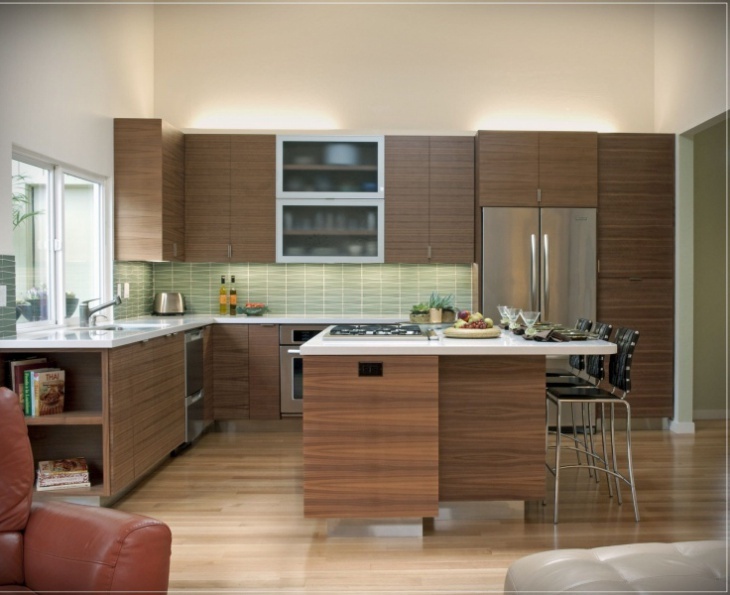 The modern kitchen cabinets which facilitate the efficient space and storage management are absolutely loved by all. Let us know how you have managed to make your kitchen a fun and functional space.